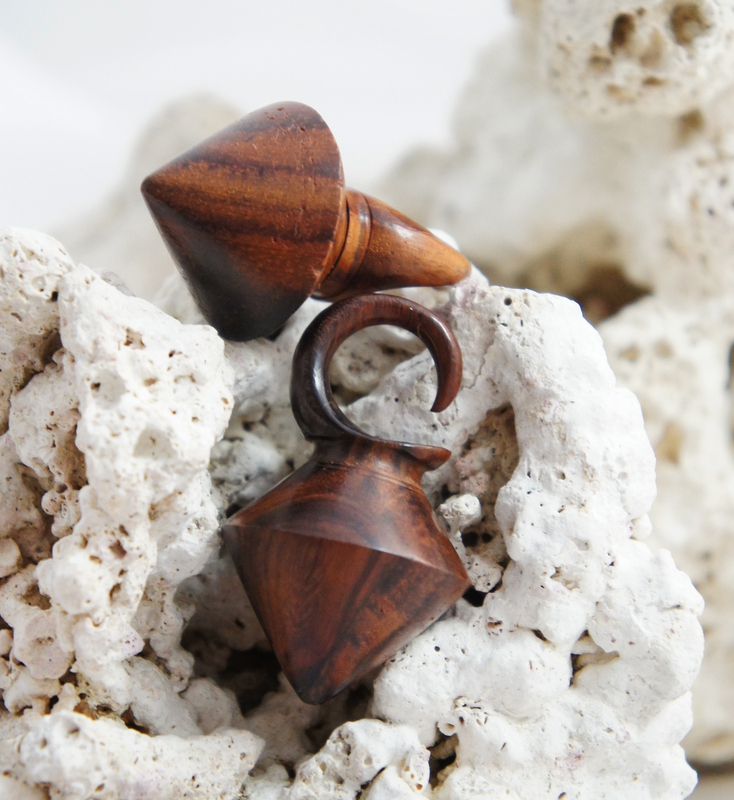 These sono wood hangers have been hand carved into large pyramids to create the look of metal weights in the light weight design of wood. 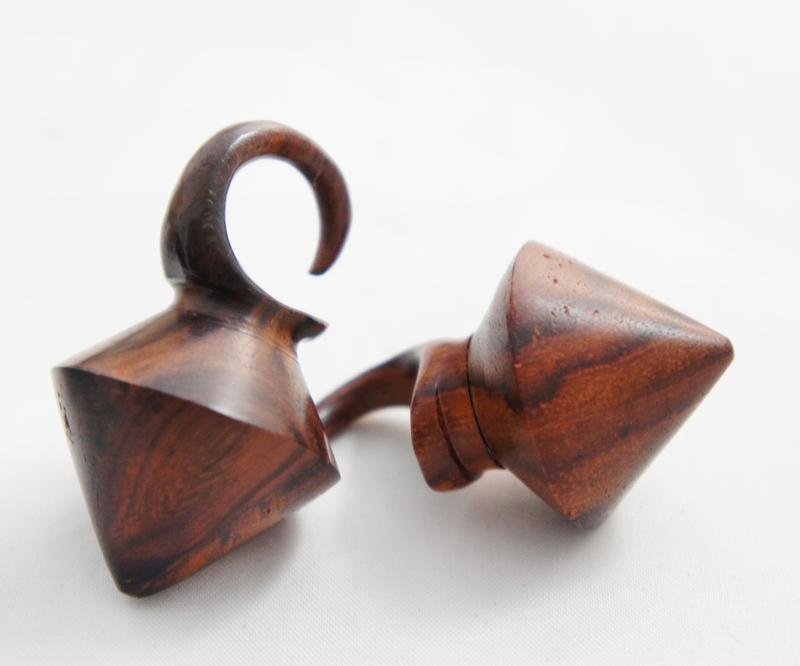 Light weight but can still be on the heavier side, these plugs give a great dangly look. For those who want the weighted look but haven't sized up enough for stone weights, these are made for you! 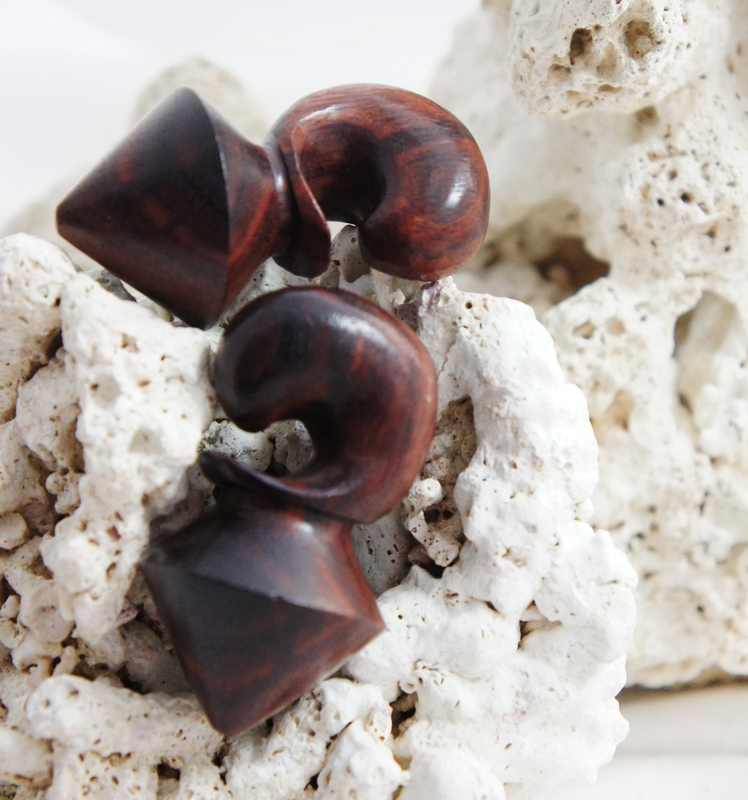 For sizing we typically have a wide range in stock but if you don't see your ear gauge size listed please let us know. We regularly release new sizes and styles so if it's not currently available now there's a good chance it will be later.